Not Verified | Johannesburg to Luanda. My initial scans of reviews made me comfortable to fly with Angolan airlines. However, two weeks before our flight there were some horrific reports and reviews. All these fears were allayed on our first leg of our journey from Johannesburg to Luanda. What surprised me was the leg room space. Flight attendants were friendly and toilets were clean. Food was very satisfactory. Compliments to the pilots, all take offs and landings were smooth. Yes we would travel TAAG Angola Airlines again. ✅ Trip Verified | Cape Town to Luanda. It's a shame to see new, well-spaced between seats airplanes being treated so badly and so poorly maintained. The staff are rude and the movies in the entertainment system are the same since 2014. 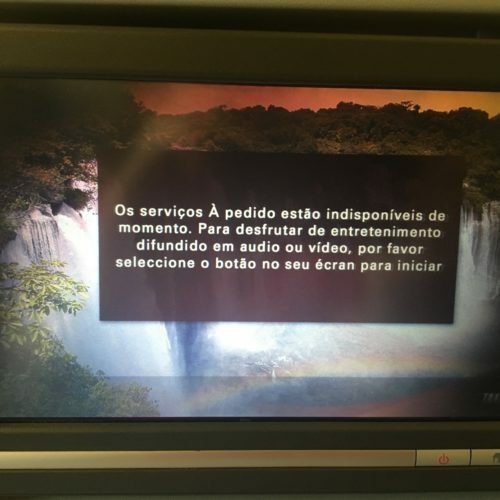 On this flight the entertainment system did not work and despite complaints the staff did not even restart the system. I only travel with them because there is no alternative from Luanda. 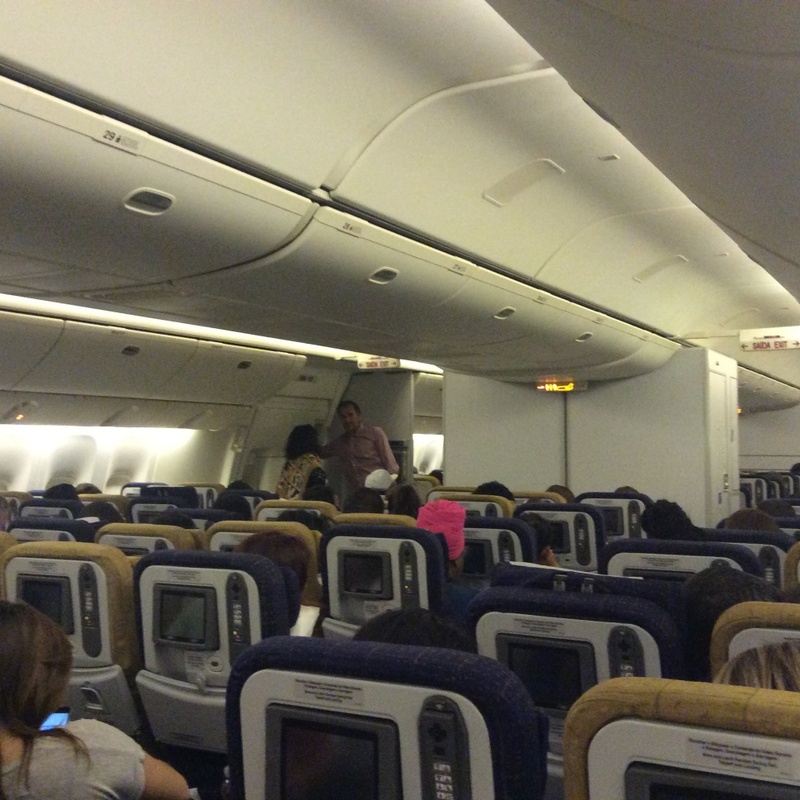 "This airline is truly sad"
✅ Trip Verified | Cape Town to Luanda. TAAG improved dramatically under sponsorship from Emirates but all that is gone. The issues start even before you get on the flight. I have been trying for over 4 weeks to get my name corrected on the ticket I paid for. They booked me under my suffix Jr. and even though they have promised to fix this maybe 5 times now they do not. They have offered to book me on another flight or even for more money but not just change my name. I will always choose another airlines going forward. This airline is truly sad. "chose TAAG for its really low price"
✅ Trip Verified | Rio de Janeiro to Johannesburg via Luanda. We chose TAAG for its really low price. 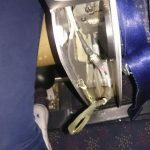 The flight itself didn't have problems but cabin staff was arrogant. The seats were the most comfortable economy seats I've ever seen. Lots of room for your legs and they reclined more than other airlines. The food was okay, we were served 3 times from GIG to JNB. The inflight entertainment was okay, but in many seats the system or the screen was broken. The biggest issue onboard was the air conditioner. There is no individual air vent. So in the beginning of the flights it was really hot, and then it got progressively colder, until you could barely stand it. The blanket was enough for me, but you should have a coat handy. The ground service was mostly okay, except during our layover in Luanda: we boarded and they took us on a bus to the plane. There we waited for 15 minutes with the doors of the bus closed. Then they took us back to the boarding gate in the airport. Nobody ever told us what was happening or what went wrong. The flight got delayed 20 minutes. Not a big problem, but they should tell you what is happening. "no maintenance seems to get done"
✅ Trip Verified | Johannesburg to Porto via Luanda with TAAG Angola Airlines. Faulty seats all over buisness class on all the flights, did not allow me to adjust the seat at all, the seat next to mine the footrail was in the open position and would not go back. The funny thing is that the staff knew about these issues, faulty seats in business class, let me get comfortable and only after I complained did they say that they were aware and I must look for another seat - I tried another 2 seats with no luck but on the third attempt was lucky. Seat was good, but then the TV & inflight entertainment was not working. The magazines were from the previous months, all in a terrible state, some seats had the magazines other seats no magazines at all. At the lounge in Luanda in dialogue with other buisness class passengers they expressed similar issues. I am a frequent traveler and must say this has been one of my worst trips ever. It's a real pity that no maintenance seems to get done on these planes. 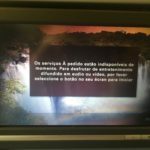 "faulty seats in business class"
✅ Trip Verified | Luanda to São Paulo. Faulty seat, did not allow me to adjust the seat at all! 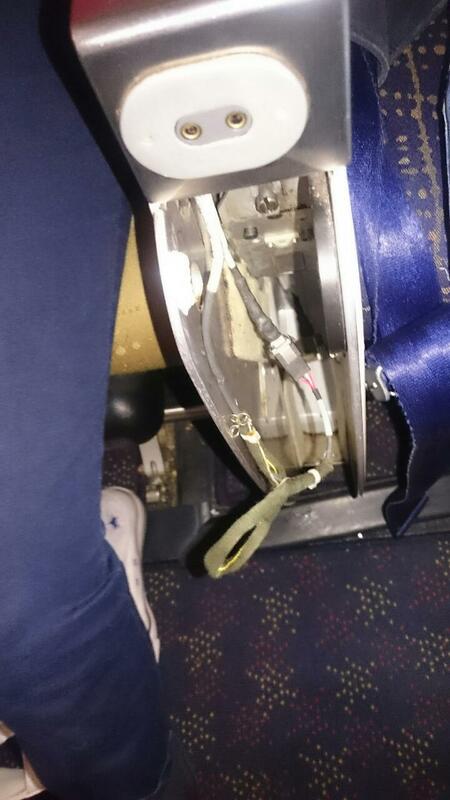 The worst issue is that the staff knew about various (at least 3) faulty seats in business class. The staff avoided my request to try to resolve and offered no solution as business class was full. I had booked a family of 5 passengers all on business class and to say that this ruined my holiday is an understatement. First class was 90% empty, but no offer at all was entertained. I am a frequent traveler and must say this has been my worst trip ever, stayed awake throughout the night and no apology received at all. ✅ Verified Review | Cape Town to Porto return via Luanda. 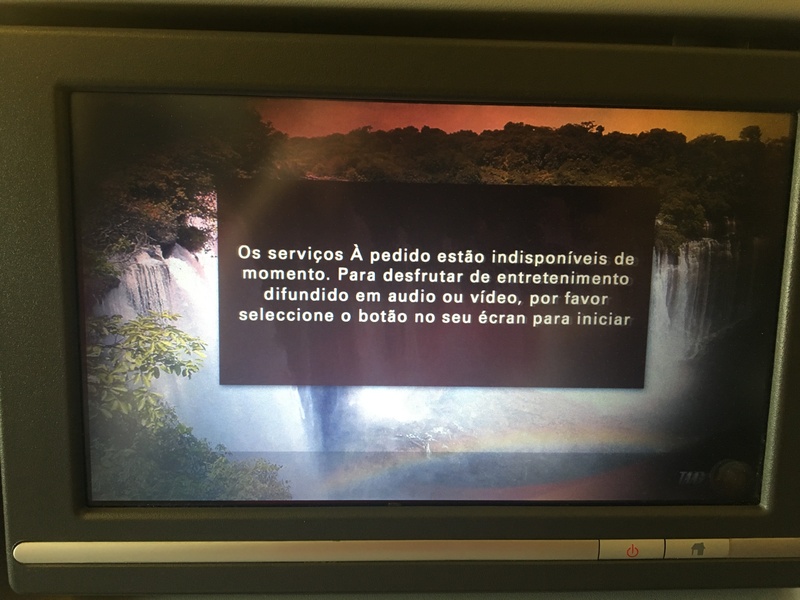 Of the four flights we were on this airline for our trip from Cape Town to Porto, the in-flight entertainment was broken on three. The staff could hardly speak or understand English. The ambient temperature was either too hot on one flight or too cold on another. On-board catering took excruciatingly long to get going. Overall, a low standard airline. A huge pity because if the airline realised the potentially huge market they have on this route, they'd improve their standards without question. "more than satisfied with the airline"
✅ Verified Review | I have flown many times on the Cape Town to Lisbon route via Taag over the last year and have been more than satisfied with the airline. 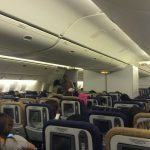 The 3-3-3 seating offers significantly more space than the airlines with a 3-4-3 configuration and the stopover in Luanda breaks the monotony of the long flight to Europe. Disembarking to a bus in Luanda lets you appreciate the scale of the B777, if you are interested in aircraft this will be a highlight. Luanda airport is not a great place, very expensive drinks and food, not much to do, but on the positive side it seems to be much cleaner than before (please keep that up). The 7 hour flight to Lisbon goes quickly and I slept through most of it, so the limited range of movies did not bother me. Food is fine for economy, its actually quite tasty and the presentation has improved a lot, the red wine was a very pleasant Portuguese wine from the Douro valley. The hosts and hostesses got their job done efficiently and pleasantly, though one host from Cape Town to Luanda clearly was not there out of love. All in all, no one will ever rave about an economy flight but this is one of the best and most comfortable ways to get to Europe from South Africa and while it seems that the Emirates management has stopped (Since June 2017) it has not affected the service. "seat had very good legroom"
✅ Verified Review | Cape Town to Rio de Janeiro via Luanda. Flight to Luanda check in at Cape Town Airport was smooth and quick. The flight departed on time. Boarding was organised and friendly. The aircraft was spotlessly clean and felt in good condition. The entertainment system worked well, but had very limited selection. The meal served was tasty and sufficient. Cabin crew were somewhat robotic and stone faced-perhaps the language barrier. My seat had very good legroom, and was comfortable. Luanda Airport really let the side down. Terrible place, badly organised, with very limited food and drink options, and too few toilets. The flight to Rio departed late mainly due to Luanda Airport slowing everything down. The flight to Rio was similarly of good standard. Nothing exceptional, but in all it was good. ✅ Verified Review | Cape Town to Lisbon via Luanda. The flight crew was friendly and quite accommodating, even assisting an old couple flying with twins to much more convenient seats by appealing to other passengers who too were quite willing to exchange their seats. On board entertainment was varied, but on one of my flights the screen had not been working. Fortunately, even though the cabin crew had made an attempt to address the problem, I could sleep aboard that flight quite comfortably with enough leg room as well, making entertainment less of a necessity. However, upon my return flight to Cape Town from Luanda there was only one meal option as a hot breakfast and it was served with bacon, which I thought was a failing on the part of an otherwise professional airline. One cannot in this day and age overlook people's dietary preferences whether for religious, lifestyle or health reasons. (My reason is religious ) the least they could have done was have more than one meal option. I'd like to fly with TAAG again but this would be a consideration should I book with TAAG. I hope this will be addressed because I am certain that many passengers will be put off by this should they be personally affected as I was.